BMTI—daily and independent—and its research experts supply a high quality information service for the international dry bulk shipping industry including DAILY FIXTURE REPORTS, SHORT SEA REPORTS, MARKET REPORTS and special RESEARCH STUDIES. 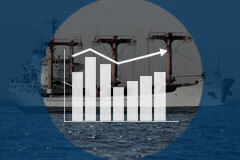 BMTI’s reports and studies, published in English, provide unbiased professional analyses of the important trend-indicating developments in the international dry bulk shipping markets—clearly, accurately and concisely. Adriatic Sea market: Traffic has been sporadic at best. Ammonium nitrate of 1,000mt has secured US$ 39-40/mt from Alexandria to Sarande (Alban­ia). Steels of 1-2,000mt have fixed high US$ 30s/mt of up to US$ 37-38/mt ex-Nemrut to Split, brokers say. Standard grains of 5,000mt (46′) are being done from Yeisk into the Italian Adriatic at US$ 35/mt. Turkish Med: As usual, import shipments to the Turkish Med have been considerable and trade has been steady in Q2 thus far. Fertilizers (urea) of 5-6,000mt have been routinely securing upwards of US$ 15/mt into Antalya from Damietta (and else­where in Egypt). Grains of 5,000mt (46′) ex-Novo­rossiysk to Mersin are being fixed at US$ 23-24/mt. Steels (2,000mt) from Iskenderun to Constanta have been reportedly concluded at about US$ 26-27/mt. The BMTI Daily Snippet is an excerpt of the respective days BMTI Daily report. 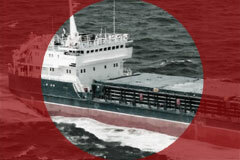 The free samples below will show you BMTI’s editorial performance in dry-cargo market research and reporting. For any more comprehensive archive investigation please contact BMTI with your request.